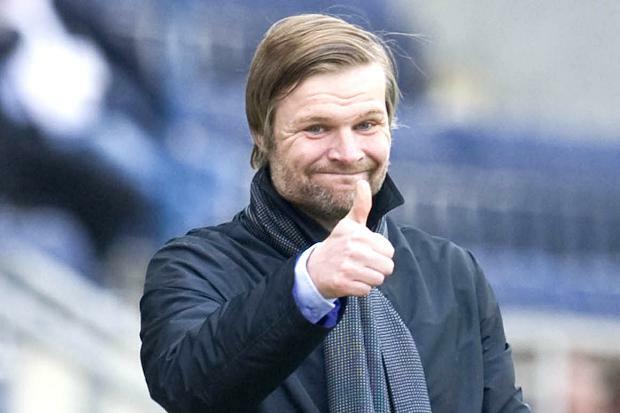 Pressley: I want to take trialists on tour. Coventry City manager Steven Pressley has revealed he wishes to take players on trial on the club’s pre-season tour of the Netherlands. Pressley’s squad return for pre-season training on June 28th, before taking on Nuneaton Town in their first friendly of the summer on July 13th. The City manager will then take his squad to the Netherlands the following day for a rigorous training regime where they will also play more friendlies. “It will be a different kind of training regime next season and one that will bring a real professionalism and real drive to the football club,” Pressley said. “I’ve had a lot of discussions with the coaching staff over the summer to put plans in place for when the players return. “It will be a very structured regime based around cycles of work designed to get the best out of the squad because I want them to eat, breathe and drink Coventry City, that’s what I want here. “Ultimately family life and time away from the pitch is very important but I want players that will be totally committed to this club and the training regime and the culture around it will place an emphasis on that. Pressley added that, despite the club currently being under an imposed transfer embargo, he was hard at working identifying player targets ahead of the new season to allow him to move quickly once the club is given the green light to start adding to the squad. He also said he would possibly look at taking one or two trialists along with the team when they depart for their pre-season tour of Holland on July 14. “I make take one or two trialists out with us but we’ve already identified quite a few players and we’re making progress and we’re optimistic that we can bring in the right player to give us an opportunity to be a side to be reckoned with next season. « Tim Fisher: SISU in it for the long haul.